A broad and comprehensive survey of the fundamentals for electrochemical methods now in widespread use. This book is meant as a textbook, and can also be used for self-study as well as for courses at the senior undergraduate and beginning graduate levels. Knowledge of physical chemistry is assumed, but the discussions start at an elementary level and develop upward. This revision comes twenty years after publication of the first edition, and provides valuable new and updated coverage. Allen J. Bard is Norman Hackerman-Welch Regents Chair in Chemistry at the University of Texas at Austin, where he has been a faculty member since 1958. Professor Bard is the recipient of more than twenty academic awards, most recently the Luigi Galvani Medal of the Societa Chimica Italiana, 1992; the G. M. Kosolapoff Award of the American Chemical Society, 1992; and the Award for Outstanding Achievement in the Fields of Analytical Chemistry of the Eastern Analytical Symposium, 1990. A frequent lecturer at major universities throughout the United States and Canada, and a member of numerous professional and academic organizations, Professor Bard is Editor in Chief of the Journal of the American Chemical Society and served as president of the International Union of Pure and Applied Chemistry from 1991 to 1993. He received his PhD in electroanalytical chemistry from Harvard University in 1958. Introduction and Overview of Electrode Processes. Potentials and Thermodynamics of Cells. Mass Transfer by Migration and Diffusion. Method Involving Forced Convention--Hydrodynamic Methods. Techniques Based on Concepts of Impedance. Electrode Reactions with Coupled Homogeneous Chemical Reactions. Electroactive Layers and Modified Electrodes. Spectroelectrochemistry and Other Coupled Characterization Methods. Appendix B: Digital Simulations of Electrochemical Problems. New material has been added in the following areas; applications of ultramicroelectrodes, phenomena at well-defined surfaces, modified electrodes, modern electron-transfer theory, scanning probe methods, LCEC, impedance spectrometry, modern forms of pulse voltammetry, and various aspects of spectroelectrochemistry. Chapter 5 in the first edition "Controlled Potential Microelectrode Techniques-Potential Step Methods" has been divided into two new chapters, 5 ""Basic Potential Step Methods" and 7 "Polarography and Pulse Voltammetry" in the new edition. Chapter 12 "Double-Layer Structure and Adsorbed Intermediates in Electrode Processes" in the old edition has become Chapters 13 " Double-Layer Structure and Adsorption" and 14 " Electroactive Layers and Modified Electrodes" in the new edition. 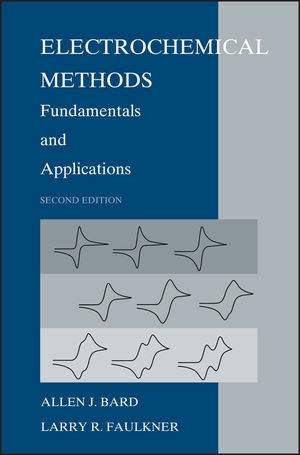 The previous edition had a single chapter on experiments in which other characterization methods are coupled to electrochemical systems (Chapter 14). The new edition has a new Chapter 16 "Scanning Probe Techniques" as well as Chapter 17 "Spectroelectrochemistry and Other Coupled Characterization Methods" and Chapter 18 "Photoelectrochemistry and Electrogenerated Chemiluminescence"
Bard and Faulkner is the leading book in the field, with authors known for their research and widely published in the area of electrochemistry and its applications. 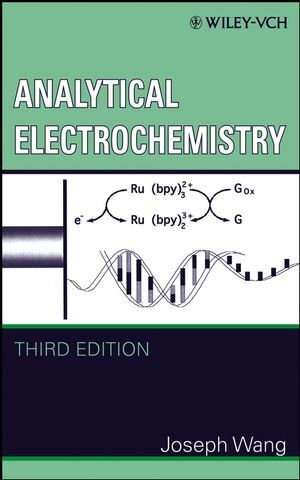 The book has strong coverage of the field of electrochemistry, especially the fundamentals.